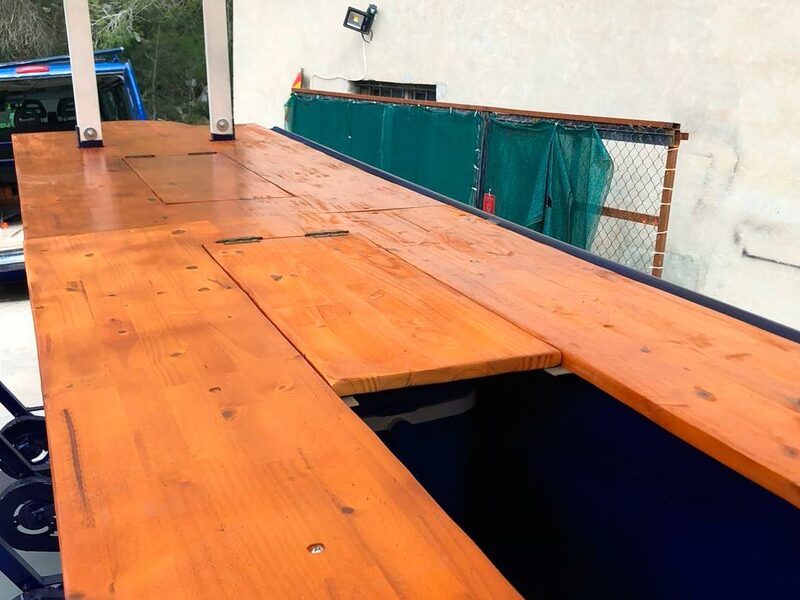 What is a Beer Boat? 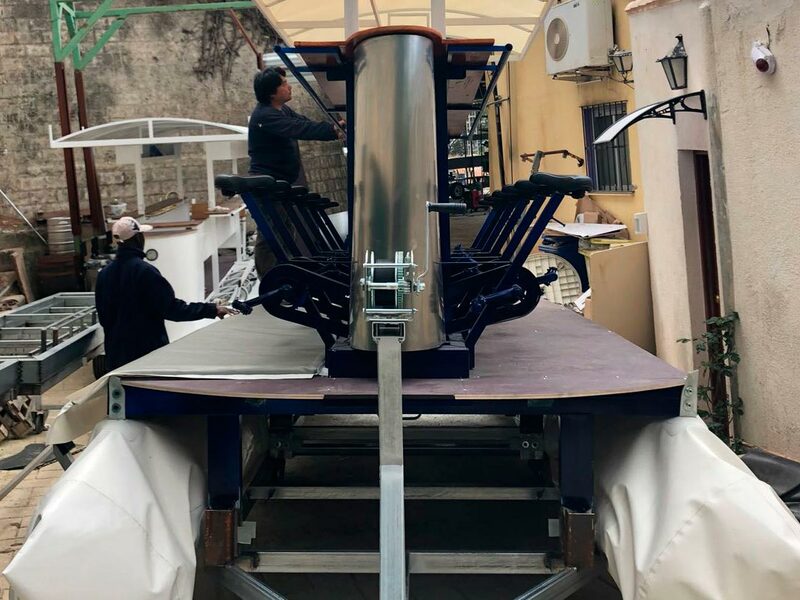 The Beer Boat or Party Bike Boat is a new invent designed in 2012 by @BeerBikeSpain It is a new way of understanding the concept of sport, ecology and gastronomic pleasure, while enjoying beach, river or lakes. 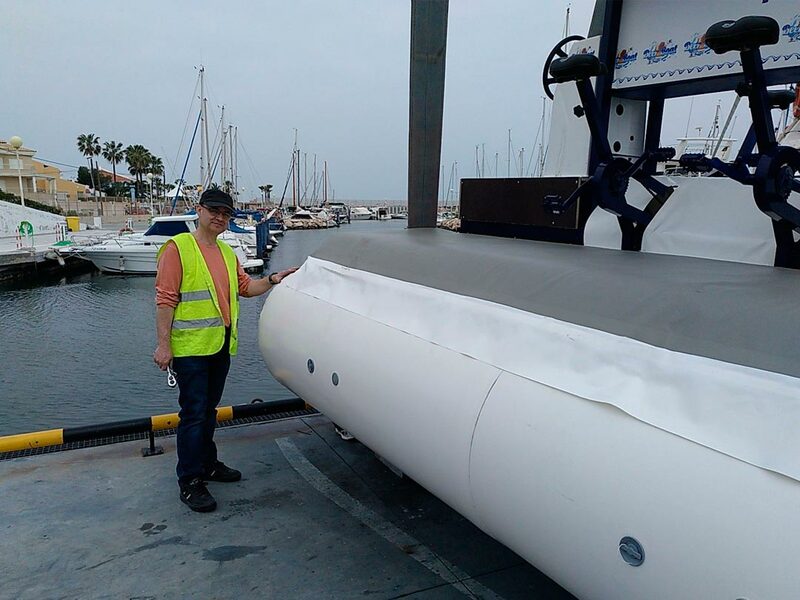 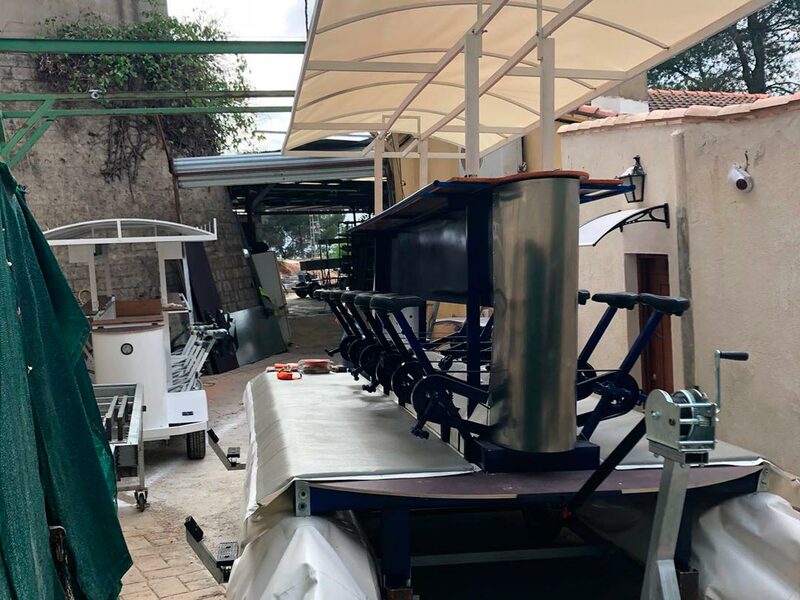 Beer Boat manufactures at its factory in Canals (Spain) its own model that has been developing since 2012, developing and marketing the collective cycle on the top of a boat. 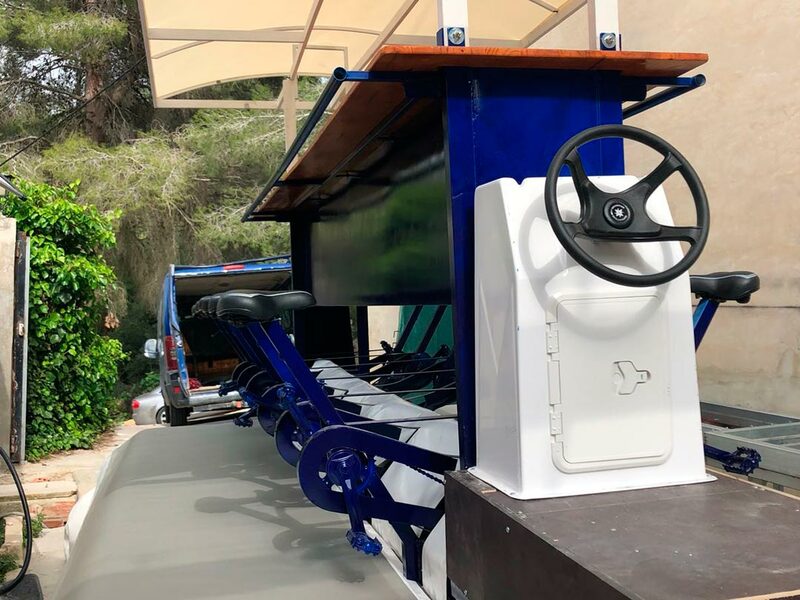 The Beer Boat is a vehicle specifically a “cycle pedaling powered boat” with capacity for 12 + 1 crew, with traction pedal for 12 of them and led by an experienced sober capitain will be responsible for providing food and drink customers want. 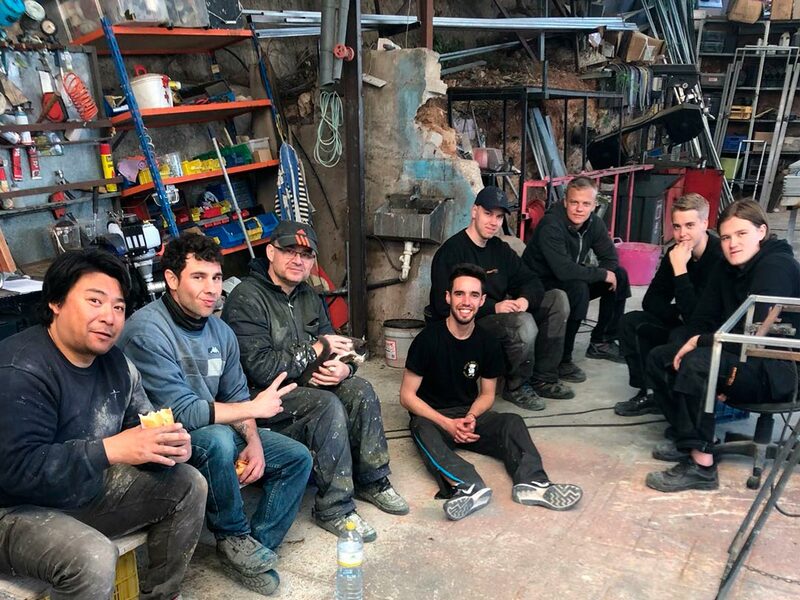 (When is not moving). 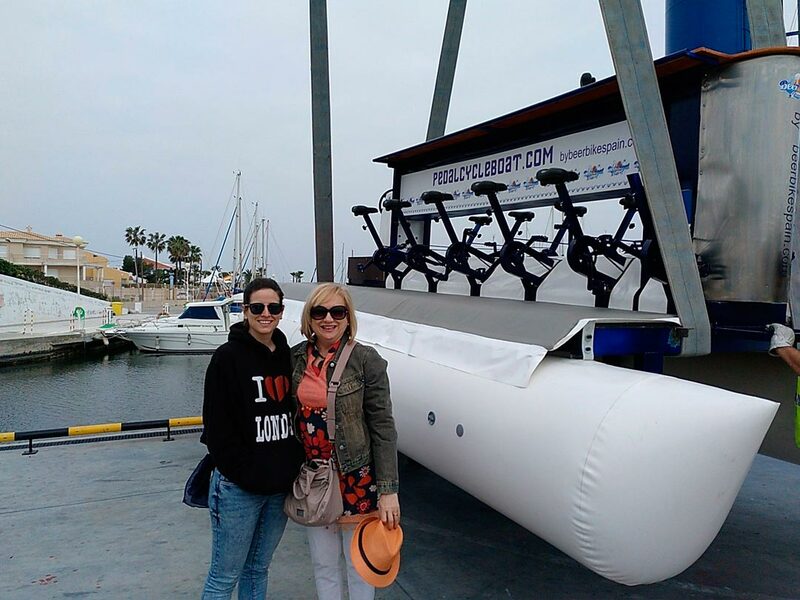 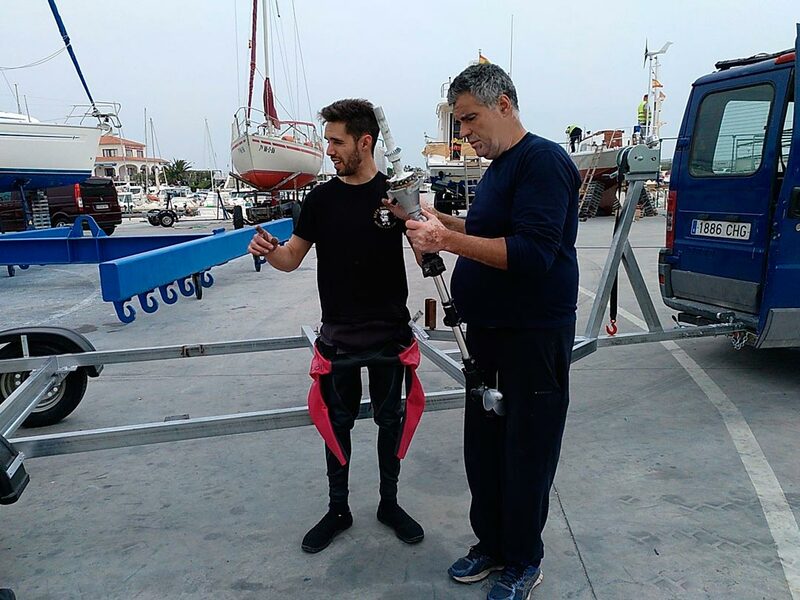 The Beer Boat or Party Bike boat ist’s a new invent now it is ready to rent in Valencia beach,and now we’re open to new conssecions in many beaches arround world, ask for you’re beer boat place. 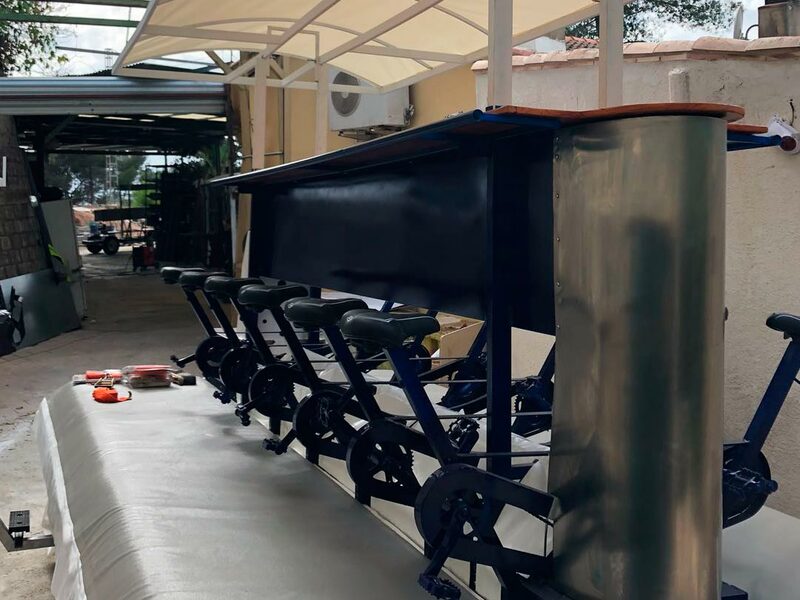 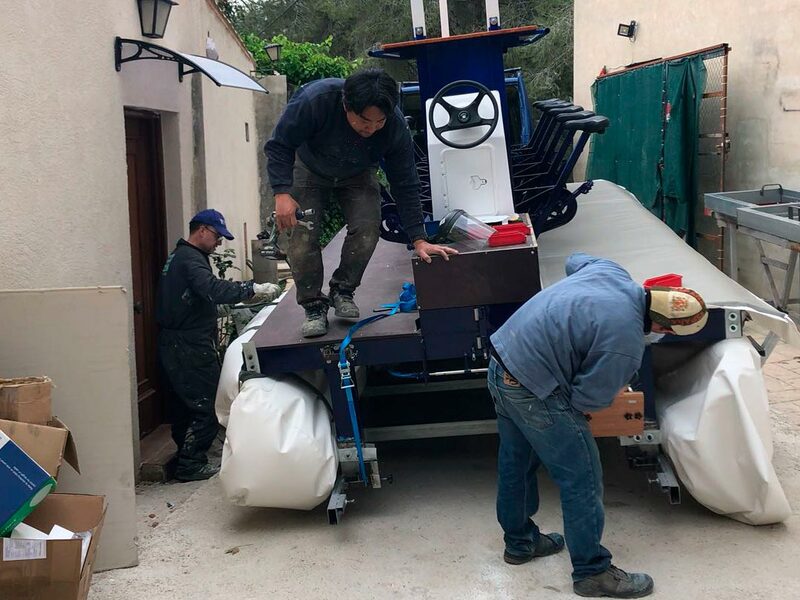 Our company, active since 2011, has sold Beer Bike in many countries of the world like the United States, Panama, Chile, Germany, Portugal, France, UK, Hungary, Czech Republic, Greece, Algeria, Italy, Georgia, and even Korea south.We expect to sell Beer Pedal Boats arround world. 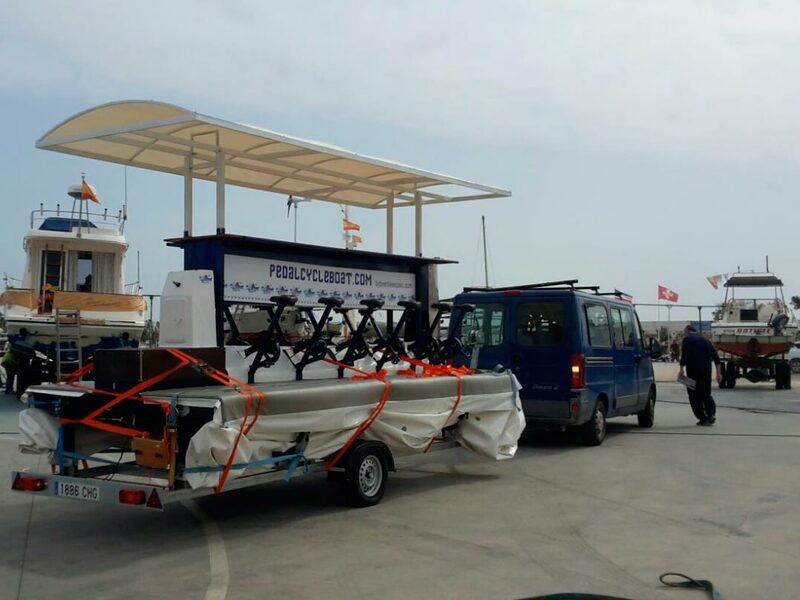 We offer a beach Tour during 1,5 hours with free beer bar. 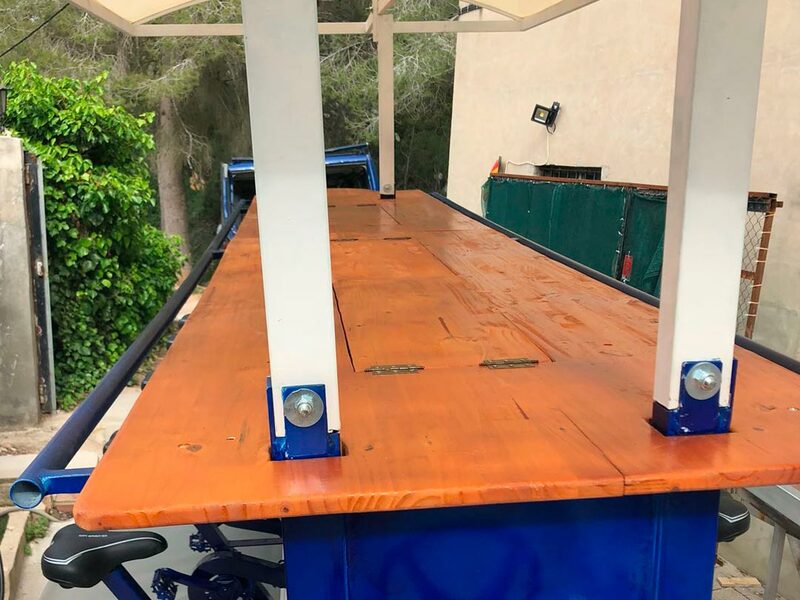 From sample Official Website Beer Cycle Boat you can buy our Beer Boat pressing the next button “Get Quote” or if you want to just rent in some city, you can access our “Central Reservation” to make your reservation online!